ABC Plan – It's as simple as ABC! 481,000 British Columbians living in poverty can’t wait. If you’re short on time, email the Minister with our easy tool below! (British Columbia) The B.C. 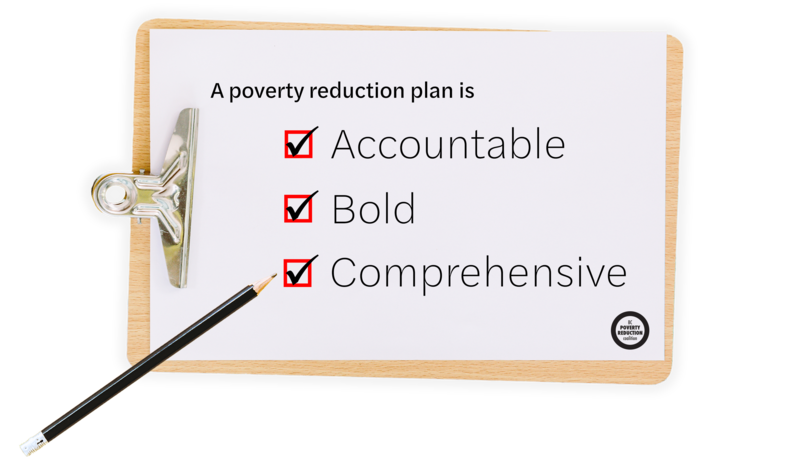 Poverty Reduction Coalition (BCPRC) congratulates the provincial government for launching the first ever poverty reduction plan for B.C. : TogetherBC. After a decade of advocacy, B.C. is no longer the only province without a poverty reduction strategy. The BCPRC welcomes the strong start outlined in the plan tracking previous investments and those featured in this year’s budget, and looks forward to building on this to ensure that no-one is left behind. 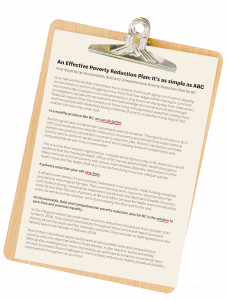 The over-arching vision and first steps of a poverty reduction plan matter. This policy brief recommends the first steps that the government can take in order to implement an accountable, bold and comprehensive plan.